If your room design calls for a traditional flooring choice, such as oak hardwood, plush carpeting or ceramic tile, there’s still plenty of room to get creative. The latest installation options make it easy to create a unique style that works with your design preference, and is anything but ordinary. Solid hardwood floors have been back in vogue since the early 1990s. Their strength, elegance and versatility make them an ideal choice. But if the traditional installation style of laying planks side by side lengthwise doesn’t excite you, there are other options. 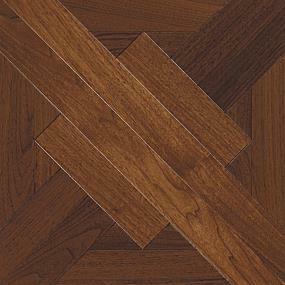 Sturdy hardwood can take on a whole new life when it’s installed in a chevron or herringbone design. Instead of uniform planks, choose wide planks installed in an uneven pattern. Or use paint to change the look: Pick varying colors for a unique stripped appearance. Solid hardwood is built to last, but that doesn’t mean you have to sacrifice character. Distressed hardwood flooring gives a rustic look, reclaimed hickory or pine look lends an historic flavor, and a puzzle piece design provides a truly unique look. Carpet doesn’t have to be installed wall-to-wall in just one color and style. There are almost as many options as there are color choices. Soft white carpeting can make a dramatic statement when a black border is added. Or use an accent color in the center of the room to create a faux area rug. 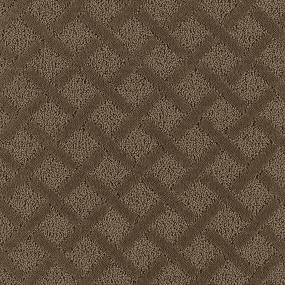 Design a pattern using two complimentary colors: squares, diamond shapes or wide stripes are all popular choices. You can also use a contrasting color in your carpet to delineate space in your room. Choose a light colored carpeting, and then use a border around the bar or study area, perhaps. Play areas and kids’ bedrooms are spaces in which to get extra playful with your flooring. Pick a design that inspires creativity and invites imagination. Bold colors, graphic prints, even a hopscotch pattern or football field design can be incorporated right into the flooring. Tile is versatile and easy to maintain. But even with the myriad of color and style choices, you might want to try something different to make the look uniquely your own. 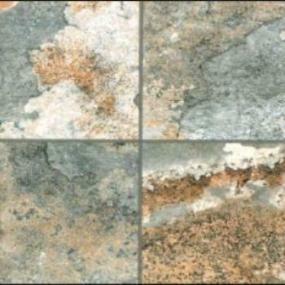 Instead of opting for the typical 12 inch tiles, install large format tiles in 24 inch or even 36 inch size. Try alternating bands of color in the bathroom, or adding a bold border color to simple white tile to punch up your design. Add several different shades of the same color for a cool watercolor effect. Traditional ceramic tile can be eye-catching when it climbs the wall vertically, or dances across the room in a diamond pattern. Peruse the inspiration images, and our online catalog of carpet, hardwood and tile products ... and more. Then contact your local ProSource ShowroomShowrooms to get started. Think outside the walls when it comes to flooring. There are countless ways to freshen up the look of traditional flooring choices. You’re truly only limited by your imagination.